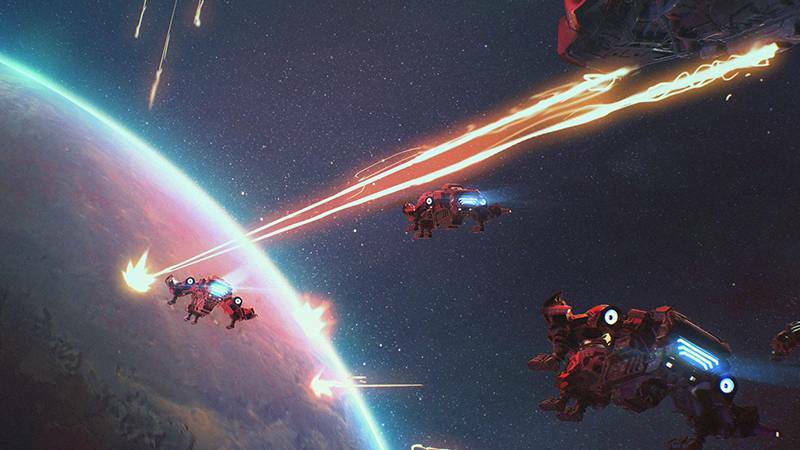 Sci-Fi RTS MOBA - Explore, build and conquer planets and opponents in this 1v1 RTS MOBA that challenges everything you know about the genre. What Is Beyond The Void? 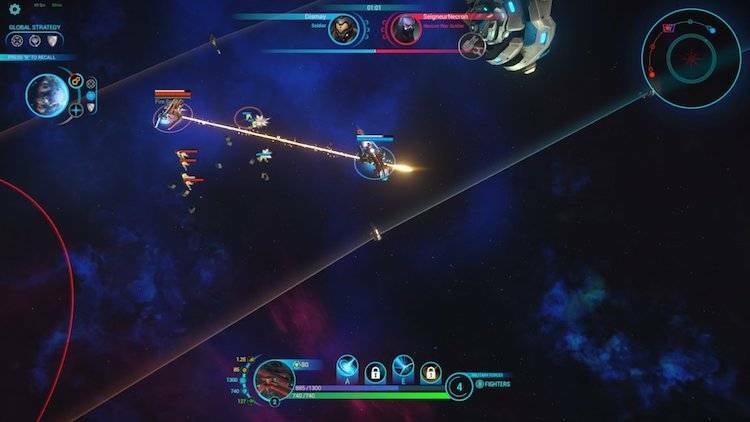 Beyond The Void is a 1v1 space sci-fi MOBA that wants to shake things up in the genre with some intuitive gameplay. 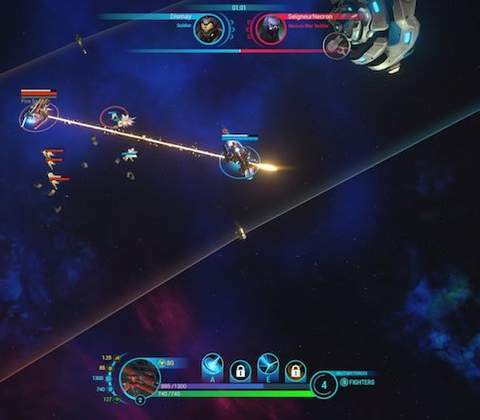 As a free to play game on Steam, Beyond The Void is all about infusing popular MOBA mechanics with real time strategy elements to produce a captivating game. Besides that, there's another interesting aspect to the game. It uses Ethereum blockchain to manage the in-game economy, allowing players to invest in special tokens for vanity items that keeps the game away from pay to win. Explore with your Mothership, and don't forget to upgrade it to gain a combat advantage! So how does a MOBA infused with real time strategy game like this work? Players take on each other in a 1v1, on a selection of two maps currently, that is ever evolving the next few times you play, because everything orbits around the sun. Therefore, starting positions, planets with resources and more are never in the same place which is cool. 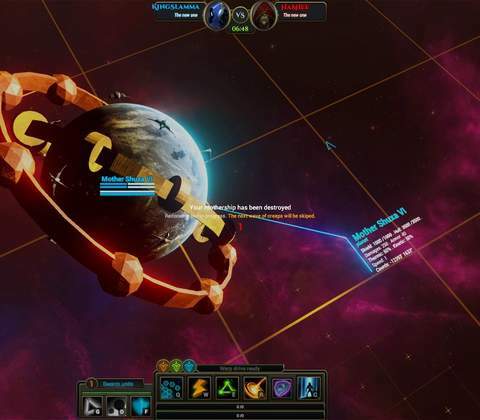 Players start the game by controlling, upgrading and defending their Mothership. This is a powerful space unit that acts like home bases in other MOBAs. If it dies, you lose the match. 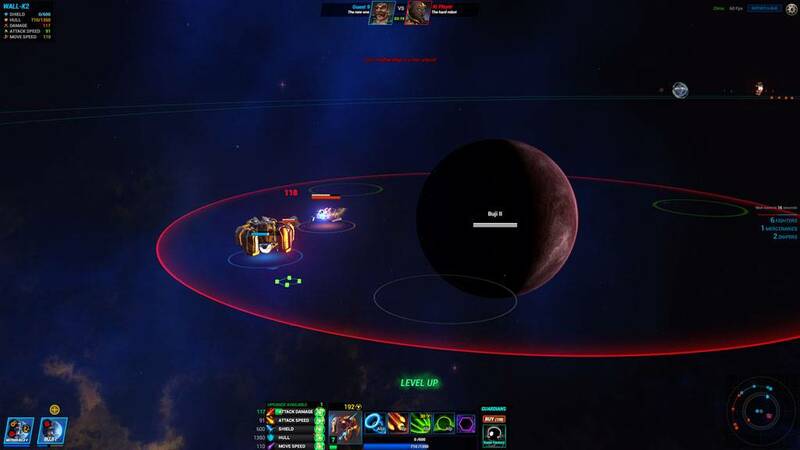 Players will need to use their Motherships to conquer planets on the orbit link for resources, which can then be spent on upgrades and getting abilities. 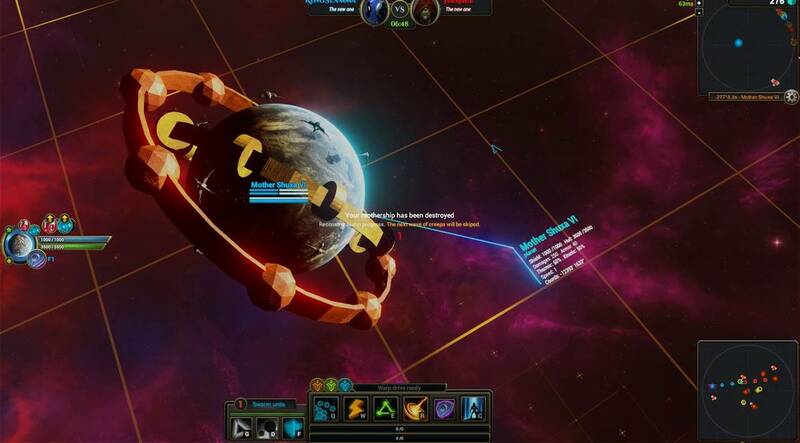 Conquered planets can build watch towers and other defensive or offensive units to fend off the opponent's Mothership. In between, players can also use Event Cards - selected before matches - to help turn the tides and outcomes of hostile engagements. From a gameplay point of view, the combination of elements here reminds us of the old Command & Conquer games and it's incredibly fun once you get the hang of it. The down side is, it will take several matches including trials and errors because the new player tutorial is rubbish at explaining things. From a gameplay point of view, the combination of elements here reminds us of the old Command & Conquer games and it's incredibly fun once you get the hang of it. What's the best part about Beyond The Void? Hands down, it's that interplay of commanding a single unit that's both powerful and fragile, and your choices during a match will ultimately decide its outcome, encouraging you to make better decisions in the next match, and in the match after that. It's a key hallmark of all MOBA games, offering replayability with Hero units that makes it a challenge to master, and in that department this game delivers. Another feature worth taking note of is the in-game store. Players won't use real money or other currency here. You can use Nexium - the cryptocurrency token - to get original items like vanity Mothership cosmetics and skins. Players can then freely trade and sell cash shop items with each other directly on the blockchain. This according to the developers, creates a fair non pay to win environment. The visuals are great to look at during matches. The game's graphics will be highly attractive for sci-fi lovers and fans. The colors, tone and textures look excellent on the map for every individual unit, ship and even the planets in orbit. The look and feel of the game truly enhances the experience. Beyond The Void's top down interface allows it to add some pretty fancy graphics to the units in 3D which is also nice. Additionally, the art-style and design of the Event Cards that players select before the match starts is also excellent. However, the UI layout and design can be improved. Some may prefer the simplistic look with lots of ample space. That space could be used for more in-game tutorial toggles which would enhance the new player experience, which will definitely help. From the performance side of things, the game runs pretty smoothly when launching from Steam. But do take note that for whatever reason, you can't sign in using your Steam link and must fill in another form with an email address to officially sign up and play the game. In conclusion, Beyond The Void is a free to play MOBA that ticks plenty of boxes that makes this genre fun. It's frantic, fast-paced and highly strategic, resulting in epic matches. The learning curve is quite high and the game could use better tutorials because of its intuitive match mechanics. But for a free to play game that's not pay to win, there's little to complain about and it's worth a look. 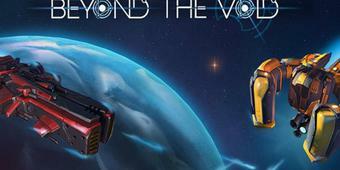 Ready to enter the world of Beyond The Void? Click here to play now! 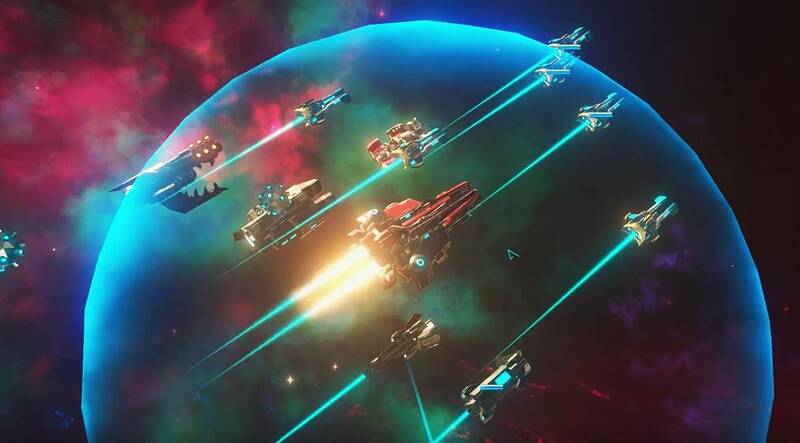 Beyond The Void's concept is fresh, interesting and offers a fun challenge as players need to master their strategy of exploiting the resources that orbits your Mothership, while tackling the opponent's units at the same time. It's a MOBA that deserves a look.